For some cows—amateurs!—a brand is enough. Those charmingly cryptic symbols seared into tender flesh and signifying the animals' status as object are sufficient. For some. 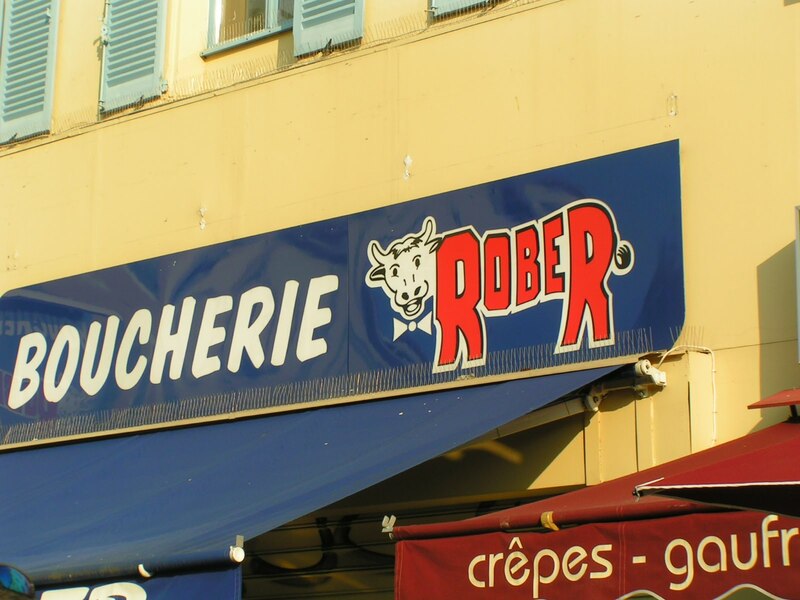 But not for le boeuf Rober. He has so completely given himself over to his butchers—meat, bones, and soul—that his entire body is now a billboard advertising his thinghood. He even dressed up for his special rendez-vous! It's as though the only interesting thing about him is the identity of those in total control of every aspect of his circumscribed life.